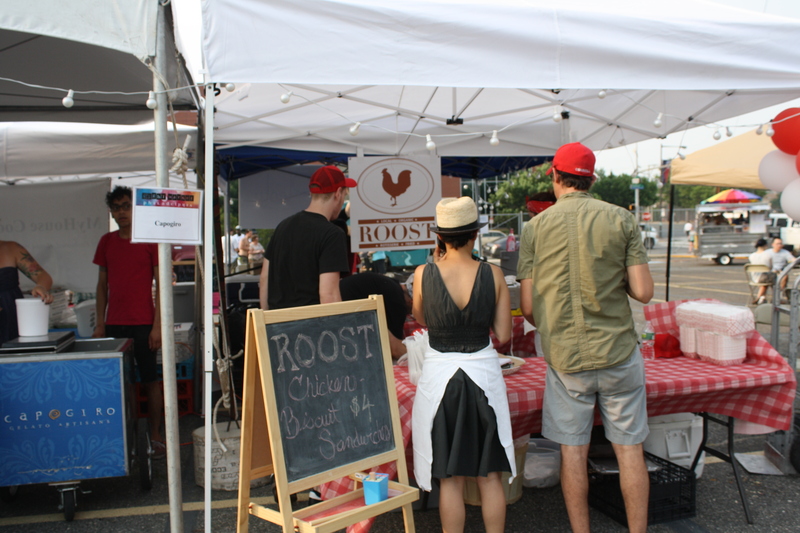 In October, The Food Trust premiered the first ever Night Market along Passyunk Avenue in Philadelphia. 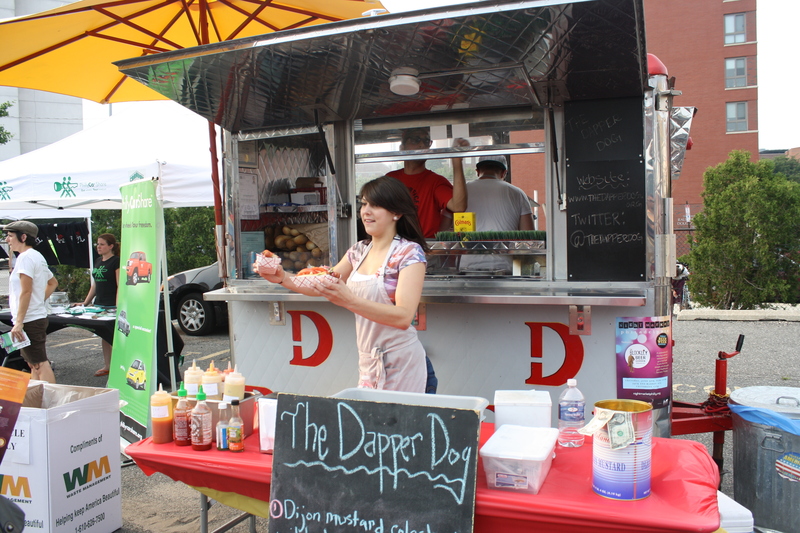 The concept is neat–food trucks and area restaurants/prepared food stores, gathered in one place to offer their fare to the public. On the upside, the October event was wildly popular. On the downside, it was wildly popular. No one anticipated how many people would show up and many of the vendors ran out of food just an hour or so into the event. Simmering beneath the frustration, however, was excitement and anticipation for the Philadelphia food scene. Fast forward to June. 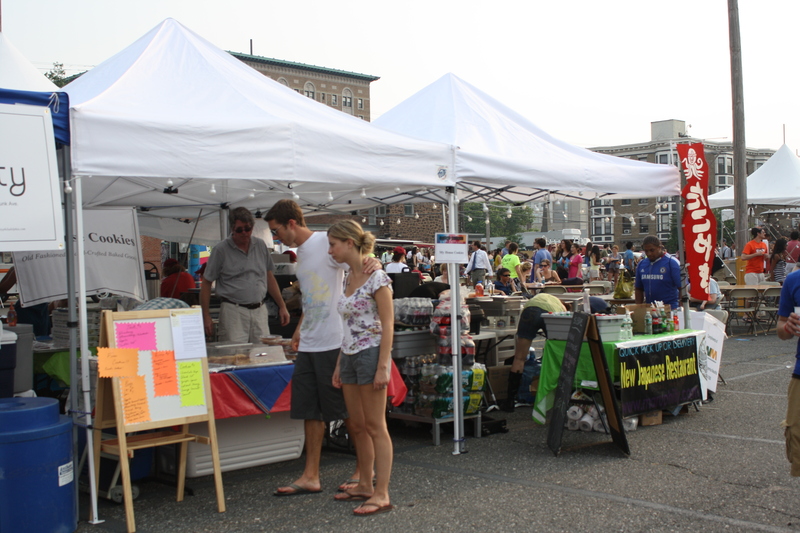 The Night Market made its second appearance at 39th and Market. 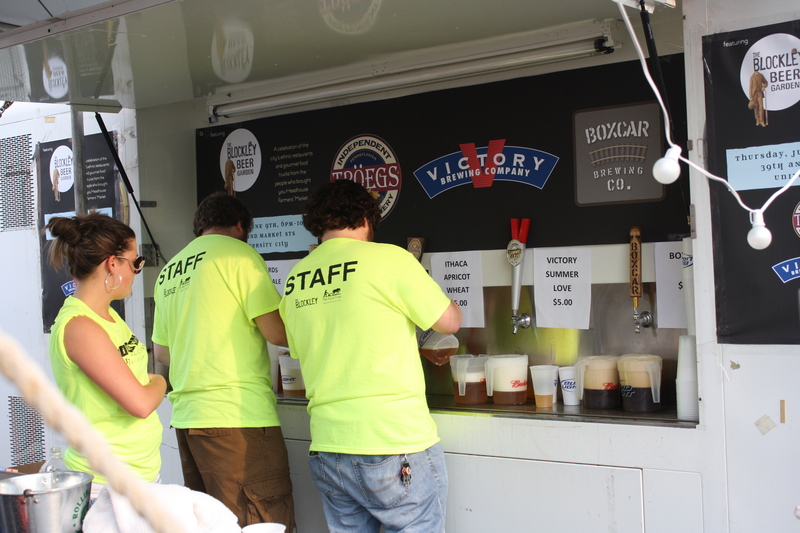 The Market coincided with Philly Beer Week, so in addition to the food offered, the Blockley Pourhouse was setting up a beer garden. I didn’t know what to expect, but I knew to get there early. It was one of the hottest nights of the year and, although they warned people to take Septa, I was sufficiently whiny that my husband grudgingly agreed to drive. Because of my familiarity with the area, we found a great (and free!) spot just a block away and walked the gritty Market Street path. When we got there, we noticed that the event was actually taking place in an empty parking lot. It was HUGE. We walked in right at 6pm and noticed that the line for the “beer garden” was already at least 30 people deep. I left my husband and sister in line while I went to explore with my camera. Wow, there were some great offerings. I couldn’t resist making a beeline (unintentional pun) to Tyson Bees after the mountain of praise it has received lately. 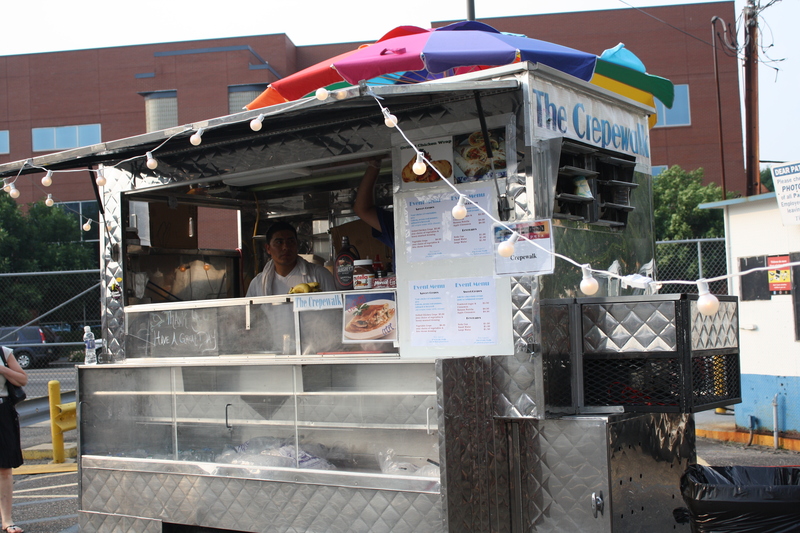 The truck, like many newer food trucks, is bright and welcoming. 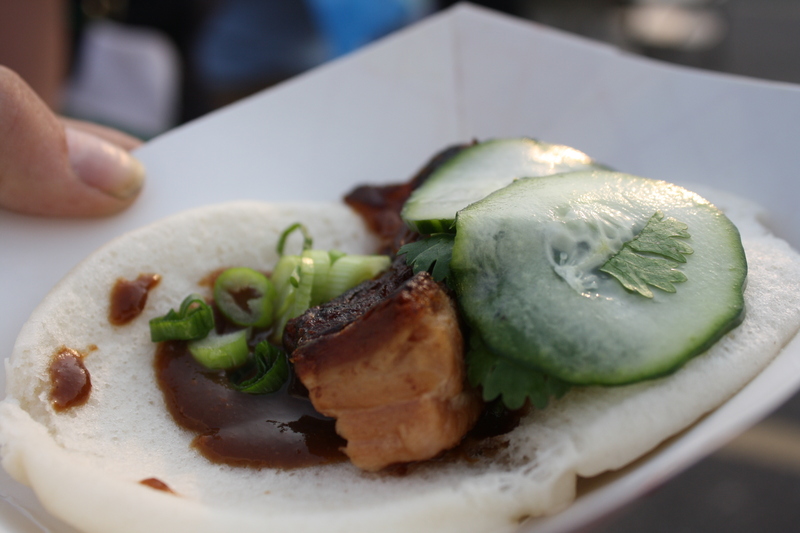 There were lots of intriguing options but I went with the pork buns. 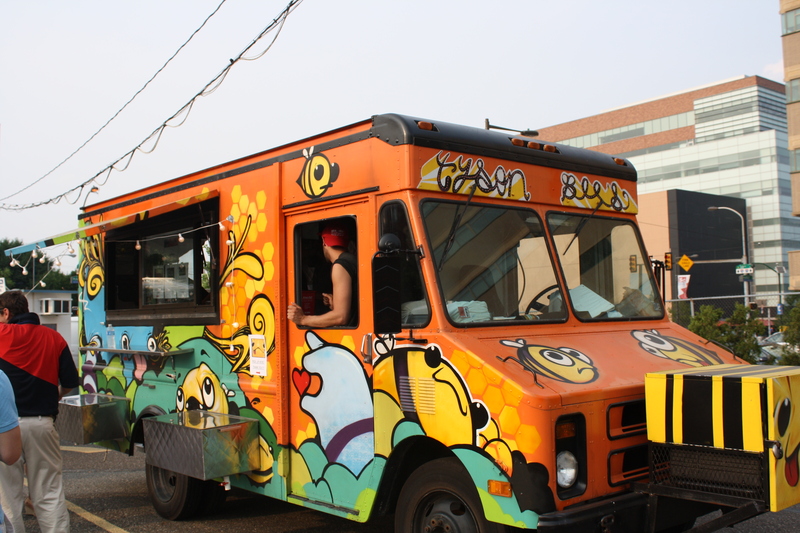 Tyson Bees is set up such that you order from the center of the truck and then pick up your food from the passenger side window. My food came up quickly. I only had a few luscious bites of this pint-sized dish but it certainly left me wanted more. 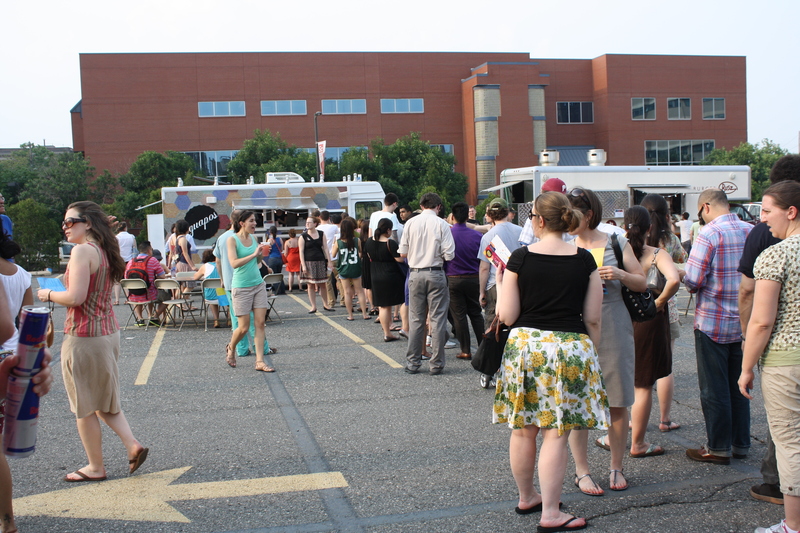 The next time I passed the truck, however, the line was enormous. I made another loop around the massive parking lot, snapping pictures along the way. 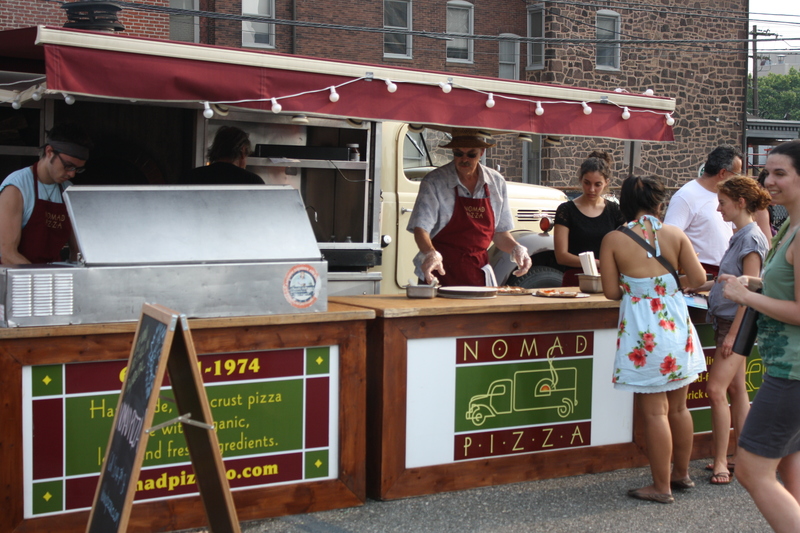 Nomad Pizza was apparently a big hit but we didn’t get any because my sister didn’t want to get in line. While there were “fancier” new trucks, it was nice to see some more old-school trucks as well. 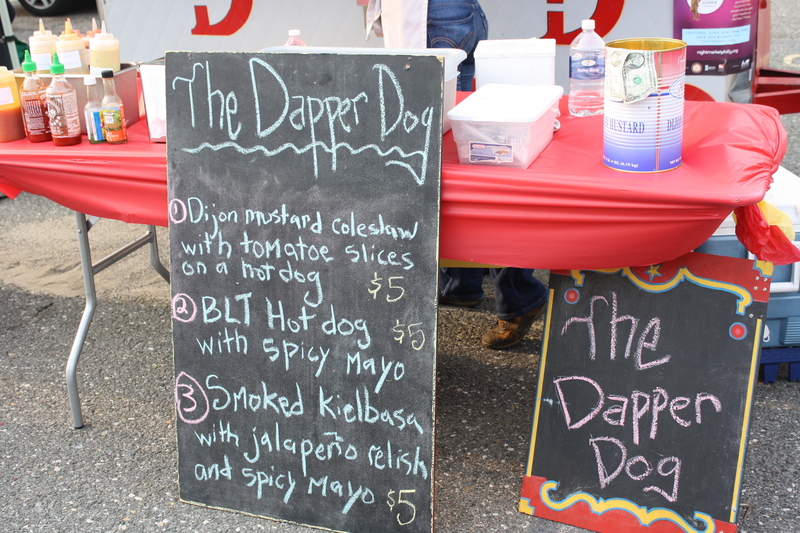 I rolled past Dapper Dog next and knew I had to get me some doggie goodness. 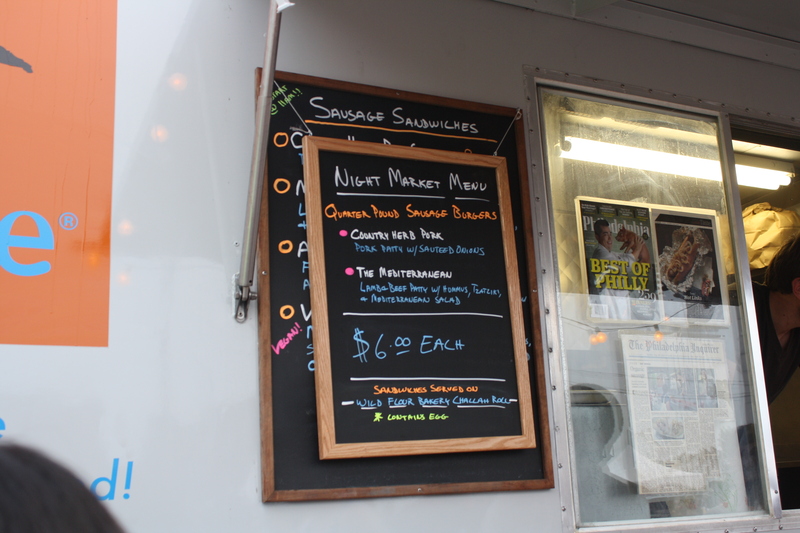 I ended up going with the smoked kielbasa with jalapeno relish and spicy mayo. Wow, they weren’t kidding about the spice! 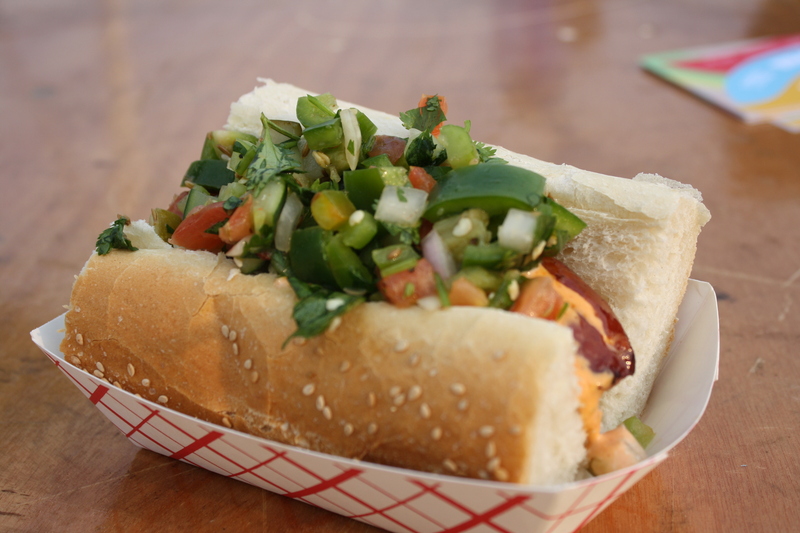 I had to knock some of the jalapenos off but this dog was meaty, not too smoky and yum, yum, yum. My bright husband made the very smart suggestion that we each get two beers so we didn’t have to wait in line again. That’s why I married the guy! 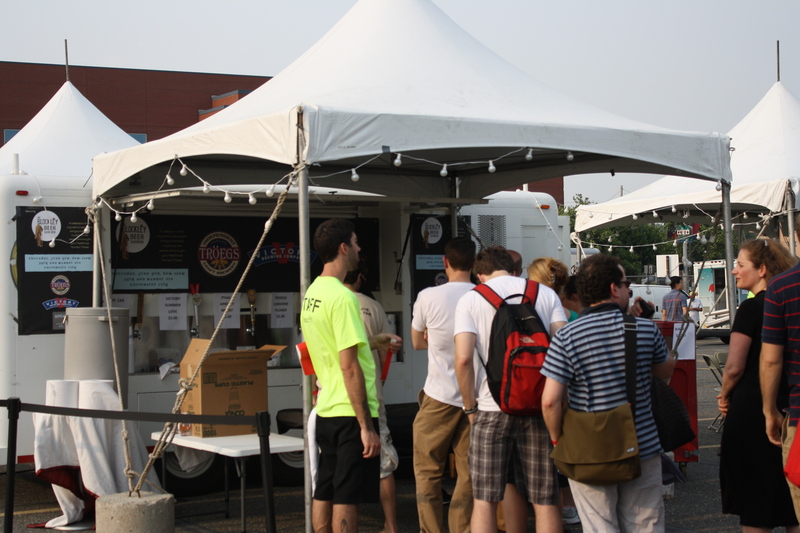 I’m glad we did that, because the later lines were outrageous (and it’s not like they were giving the beer away.) I wanted a Victory Summer Love Ale but they were still pouring warm, I was advised, so I ended up with the Ithaca Apricot Wheat and a Saison. They were both kinda warm too. While we relaxed with our beers and dog, we watched the line for Guapos Tacos grow and grow. Sigh. 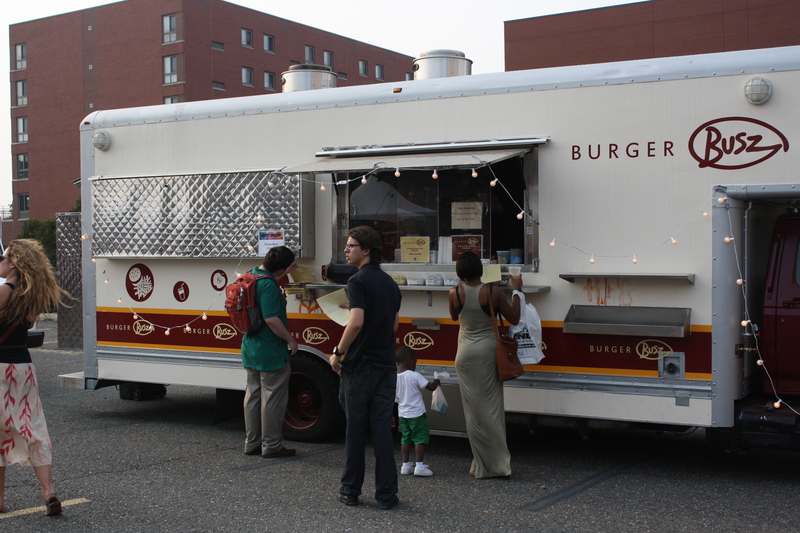 Next to it was a cute looking burger truck that I’ve never heard of. After finishing our beers, we meandered for a while, chatting with folks we knew and checking out the scene. During our wandering, we ran into my sister’s friend with a margarita in hand. Well, we had to get a margarita too! We hit up the Cantina for tangy blood orange margaritas. Our last stop was Plenty. Even though I live just a few blocks from them, I wanted to check out their offerings. My sister got a whiskey chicken sandwich. This sandwich was sweet and summery. I was initially drawn to it but was concerned that there would be too strong of a celery flavor. That was definitely not the case. 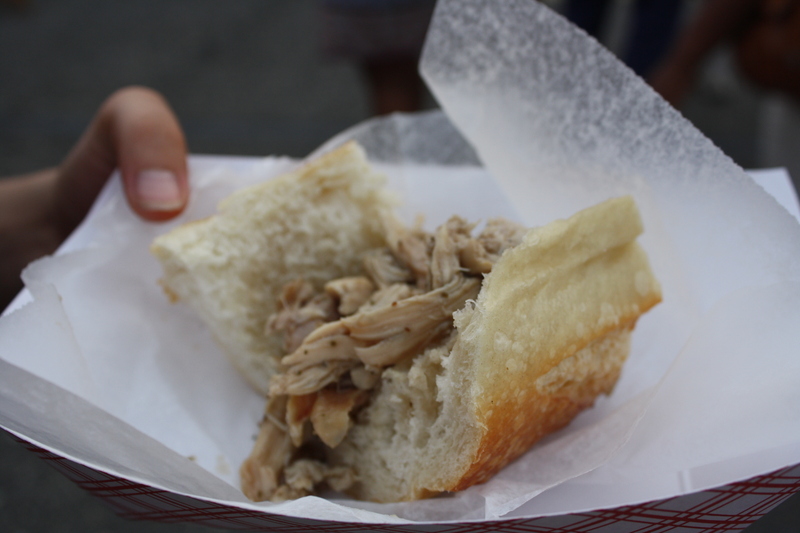 I tasted the sweet whiskey chicken and chewy bread. Yum. 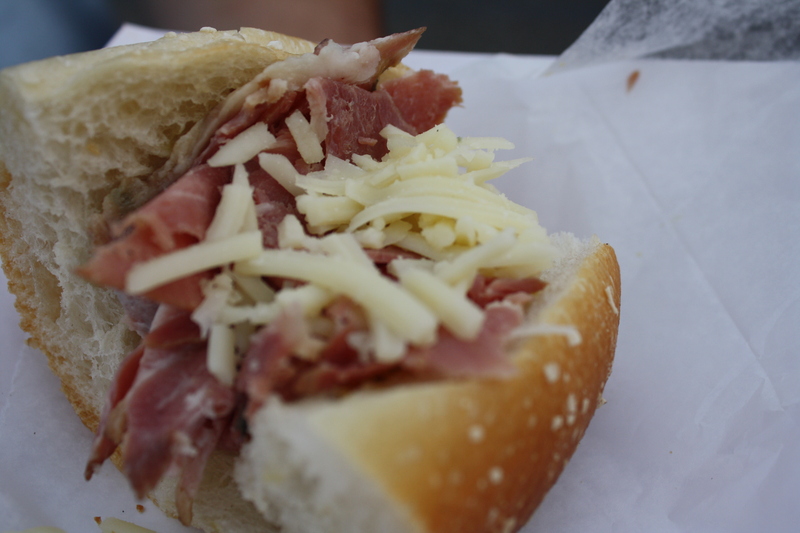 My husband and I got the ham and tallegio sandwich (house smoked ham!) Just look at it. I don’t even need to describe it. On our way out the door, we passed by Renaissance Sausage. 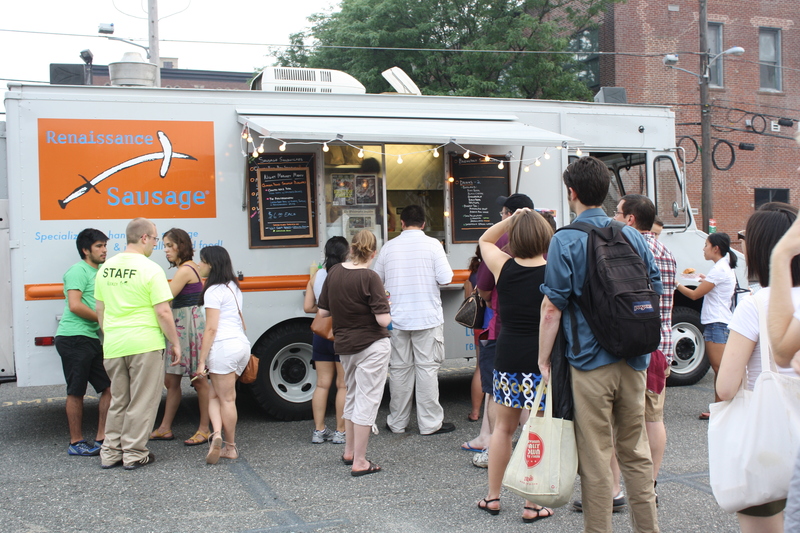 We weren’t planning on hitting them up because we get sandwiches from them most Sundays at Headhouse Square. I have to say that I was proud of my little sausage truck. Check out that line! Just because I’m curious, I wanted to see what they were offering. Quarter pound sausage burgers!!! Now, I’ve had their breakfast sausage and it is MIND blowing. I can only imagine these burgers must have been out of this world. Go Renaissance Sausage! Overall, the event was much better organized and planned than the first Night Market. 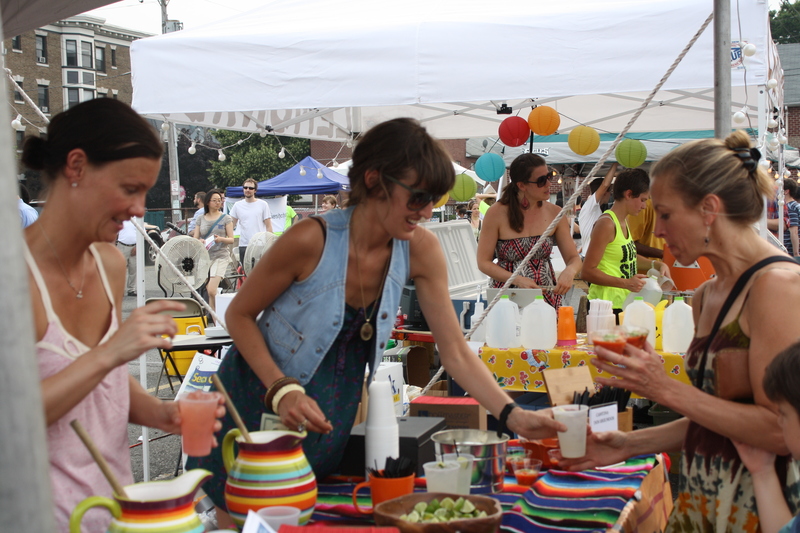 They had the foresight to bring more vendors (who brought more food,) have it in a larger space and offer more beer! On the down side, there were still extremely long lines and the beer garden was very poorly organized and slooow moving. The pros definitely outweigh the cons though, and I look forward to the next event!